We met David and his family many years ago when he worked with us as a line cook. If you know anything about working in a kitchen you’ll know what I mean when I say that one of the reasons that we loved having David on our team was because he was not easily upset. The heat of the kitchen can do crazy things to a person but somehow David’s temperament was such that he was able to maintain an even keel no matter what happened. That’s a rare trait in a line cook… heck, that’s a rare trait in most any profession! 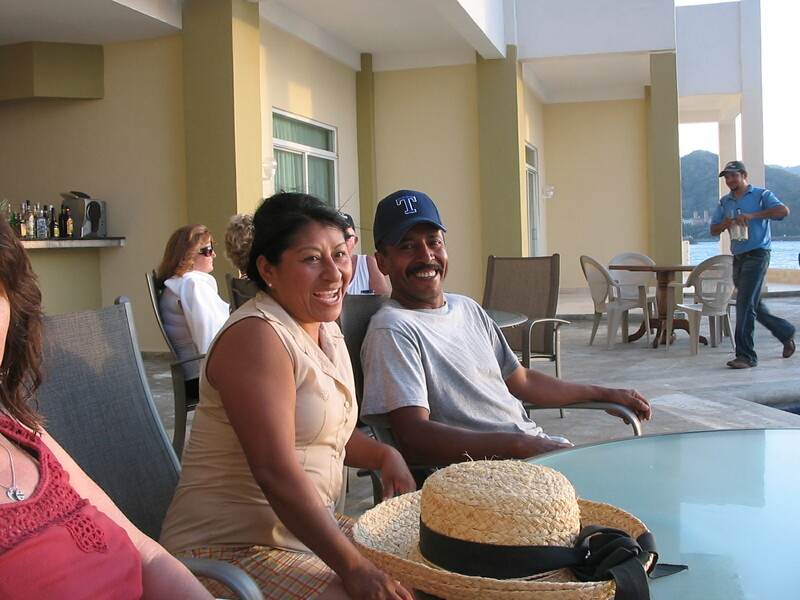 David is now living outside of Guadalajara with his wife, Rosalba, and his daughter Miriam. Since he knew we would be in Mexico, he made arrangements to visit us here in Barra de Navidad this weekend and in addition to Miriam and Rosalba he brought his older daughter, Maria, and her baby, Jasmine. This morning we went to Melaque, which is located about 5 miles south of Barra. We sat under an umbrella at one of the restaurants on the beach and spent the day swimming in the surf and enjoying the amazingly beautiful weather. This evening we let David select the place for us all to eat and he chose a taco stand near the jardin (central garden). 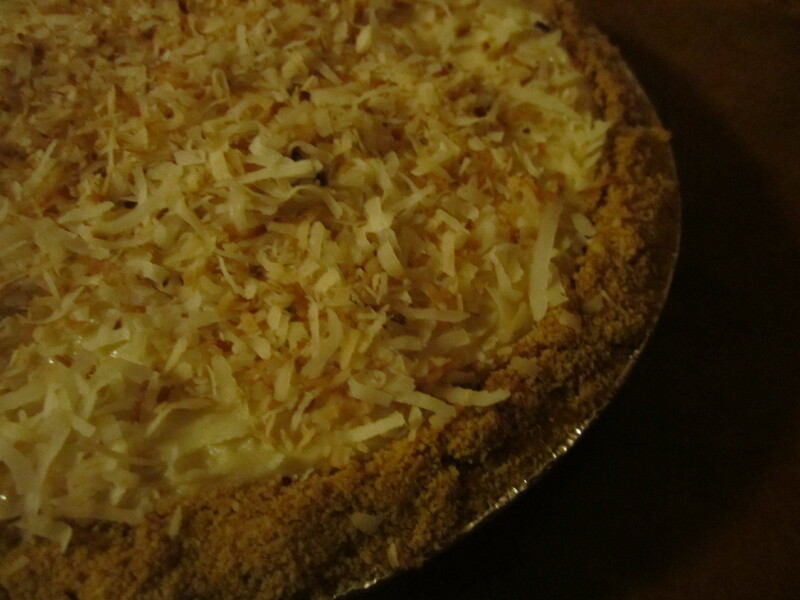 After a sumptuous meal, I asked the waiter to please bring out the Coconut Cream pie I had given him when we arrived. It was in celebration of seeing David and his family once again – and honoring friendships that can cross cultures and and transcend language barriers. I am very grateful for the gifts that they bring.